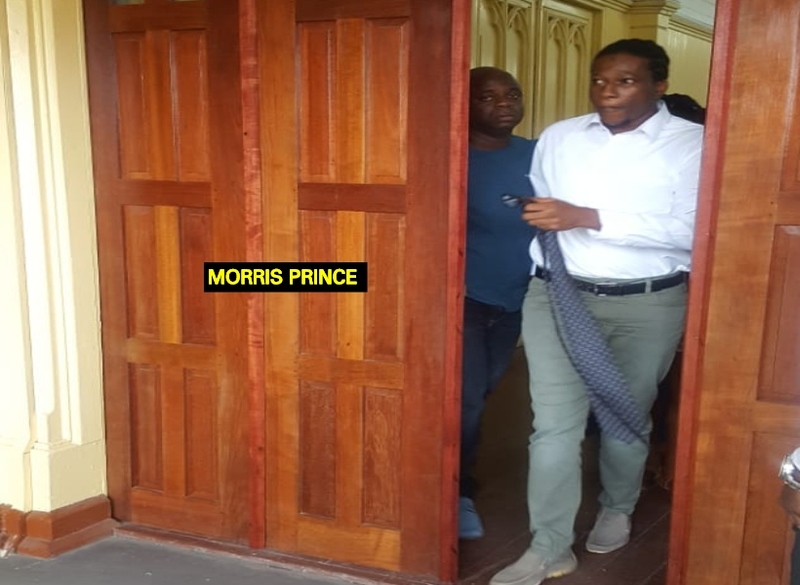 Morris Prince was this afternoon found not guilty by a jury for the March 19, 2016 murder of Oriley Small, who was riddled with bullets by a gunman just as he was about to enter his Lot 2 Smyth Street, Georgetown residence. Prince, also known as ‘Max’, 33, of Riverview, Ruimveldt, Georgetown had been on trial for the murder before Justice Navindra Singh at the High Court in Georgetown. He had pleaded not guilty when the indictment was put to him by the registrar. Prince was represented by Attorney-at-Law Mark Waldron, while the case for the State was presented by Prosecutors Tuana Harding, Teriq Mohamed and Abigail Gibbs. At the announcement of the verdict, that was unanimous relatives and friends of Prince burst out into screams. They were however warned by the court marshal to remain silent. Outside the courtroom, Prince, who was observed crying, hugged and kissed his loved ones. Relatives of the deceased appeared dumbfounded after the verdict was delivered to a packed courtroom. Charlene Forde, the sister of Small, 31, had testified that her brother and Prince were friends. She had told the jurors that her brother was killed on her birthday and that the person that committed the act was about six feet two inches in height and slim built. The woman could not give any facial descriptions of the shooter. But under cross examination by Waldron, she admitted to telling police that she was personally aware her brother had lots of enemies. Also testifying was former police sergeant Eon Jackson who is now a Science Officer at the Guyana Forensic Science Laboratory. Jackson testified to receiving two evidence bags which contained 10-fired .40 casings, which are components of a firearm and two fired .40 bullets. A police rank had testified to removing these items from the scene of the killing and giving them to Jackson who was a ballistic expert with the Guyana Police Force at the time. In h is findings, Jackson said that the bullets were either fired from a .40 or 10mm pistol. According to reports, in 2010 Small was injured after a gunman opened fire and killed one of his friends Vibert Weeks. Reports indicate that Small was previously charged with attempted murder and robbery.